If you’re a certified Disney nut who knows all there is to know about Disney vacations – or know how to find out – you’re wanted. Disney Parks has officially opened its search for new Disney dads, Mickey moms and Goofy grandparents to join the 2011 Walt Disney World Moms Panel. Heading into its fourth year, the online question-and-answer resource provides first-hand advice from everyday people who share their personal vacation planning tips on anything and everything related to Disney vacations. Visitors can pose park-related questions, view “How-To” videos from panelists and celebrities or even reference archived answers from past years for additional insight. You have until Sept. 17 to apply at disneyworldmoms.com/2011. The application period will close on Sept. 17 or when 20,000 applications are received, whichever comes first. Interested applicants should visit the Moms Panel site to apply. The first steps of the application process begin with a series of written questions and submissions. The final round of applicants will participate in a brief phone interview. 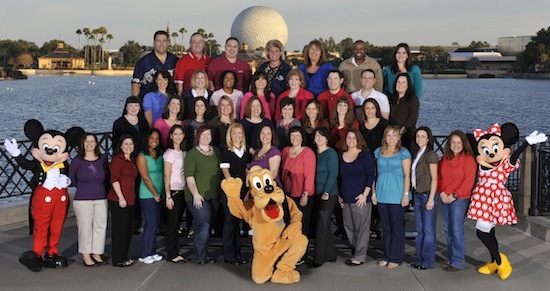 Once the search is complete, the top candidates will be named to the Walt Disney World Moms Panel in January 2011. Are Cast Members of the Walt Disney World Resort allowed to apply for this? ?